Mike’s Hot Honey took top honors at the 2018 Front Burner Foodservice Pitch Competition at the Fancy Food Show, beating out an olive oil pearl product and a plant-based chicken substitute. 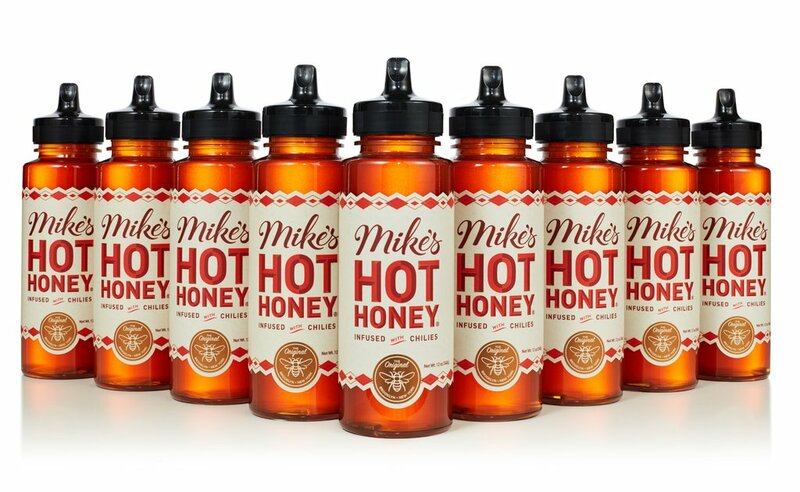 Mike Kurtz, founder of Brooklyn, NY-based Mike’s Hot Honey, said the versatile, chili pepper-infused product taps into growing consumer interest in both spicy flavors and in the health and environmental benefits of honey. The product is made from New York state wildflower honey, infused with a rare variety of chili pepper from Brazil. Kurtz created the product after tasting similar concoctions while studying in Brazil, and he put it to the test in the kitchen of Paulie Gee’s pizzeria in Brooklyn. “Our origins are in food service,” he told the audience and the panel of judges. The product scored especially high in both the “quality” and “chef appeal” categories among the judges. Chefs are using it in a variety of applications, Kurtz said, including pizza, charcuterie, fried chicken, salmon, and cocktails. Mike’s Hot Honey is on track to record about $2.3 million in sales this year, evenly split between food service and retail. It is available in a variety of package sizes, from individual packets to gallon jugs. Comrade Cluck No Chicken, a plant-based chicken substitute that is high in protein and features a simple ingredient label, won the audience favorite award in polling conducted at the competition. Sadrah Schadel of No Evil Foods said the product is being used in a range of foodservice applications, from barbecue to curry. The Picual Extra Virgin Olive Oil Pearls offer an “Instgrammable” finishing touch for a range of dishes, from cheeses to vanilla ice cream, said Joanne Lacina of Sun Grove Foods, which is importing the product from renowned Spanish olive oil producer Oro Bailen. The judges for the event were Michael Fava, the Italian Segment Manager at Sysco; Smitha Haneef, assistant vice president, University Services at Princeton University; and Patti Jackson, chef and proprietor at Delaware and Hudson, Brooklyn.